How Will They Learn the Basics? Making the decision to begin unschooling can be scary for many parents who have been taught to believe that learning the “boring” subjects is something that children must be forced to do. Though I had my own small fears about unschooling, my husband carried most of the skepticism. He worried mostly about how our children would learn the basics. By default, he believed that structure was needed for children to learn the skills essential for adult life. He didn’t doubt that they would learn, but he did doubt that they would learn enough to function well as adults. I and most other parents can sympathize with his concerns. None of us want to see our children grow up and struggle with life because of the decisions that we made (or let them make). How will they learn to read? Those of us who were sat down and taught to read by an adult often find it hard to imagine a child learning to read without instruction. Since my children were small when we chose to unschool, even I was unsure how this would play out. 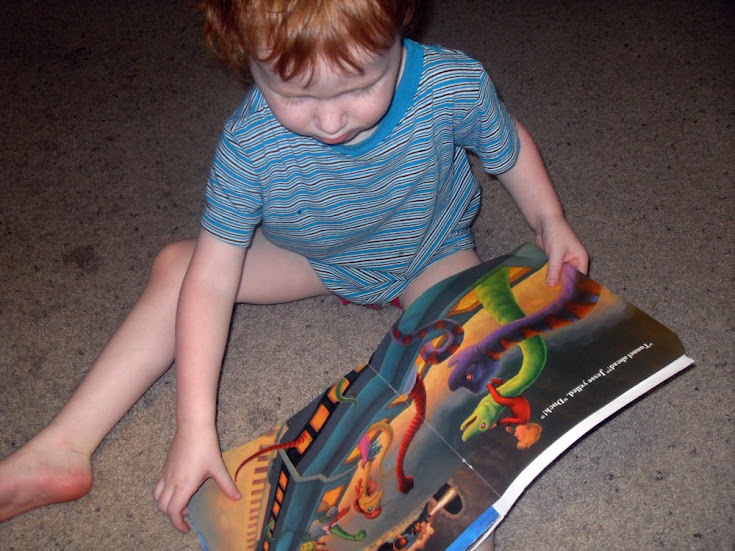 I did have faith that my children would naturally learn how to read. I remember my own journey to reading. I was taught the basics of letter recognition by my parents and teachers, but mostly I learned just by reading early reader books with my sister and mother. Just like a baby learns to walk and talk, there came a point when reading just “clicked,” and became something I tried out and became better at as time went on. The written word is essential in our culture. It would be even harder for me to imagine a child who did not want to learn how to read at some point. For some, that time will come much later. But from my correspondence with other unschoolers, even late readers will learn very quickly and naturally at a time when it becomes important to them. Reading and writing are interesting subjects in our family at the moment. 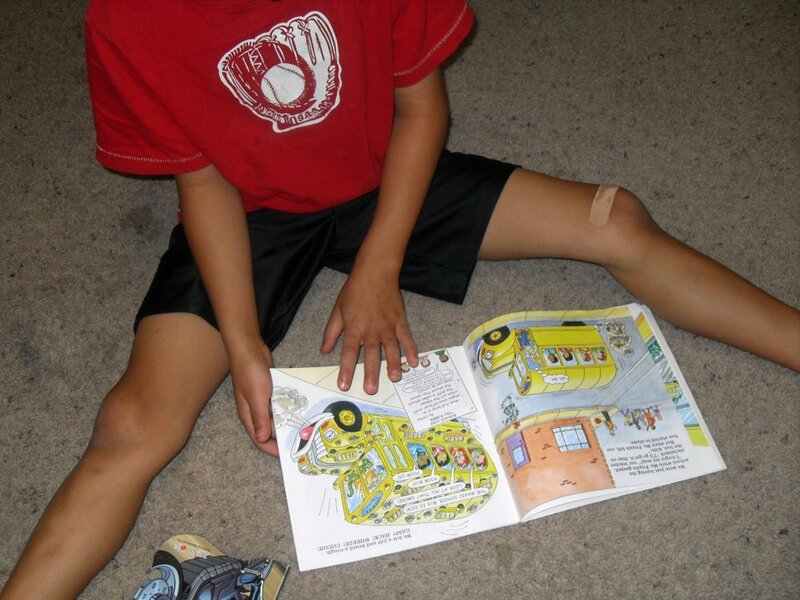 I am often asked how my five-year-old son is doing with reading. People are totally thrown off guard when I explain to them that he is learning how to write first. His choice, not mine. In fact, he is better at spelling words than reading them. The reason this surprises them is that it’s not the “natural progression” that is laid out in curriculum or school. What I am finding, is that – contrary to common beliefs about unschooling – my son is not creating “gaps” in his learning because his learning is not compartmentalized. Instead, he is progressing at reading and writing simultaneously. His love of writing letters leads to his desire to read. His writing and typing skills are progressing simultaneously as well. I am quite certain that my son would struggle at learning the way the curriculum and the schools would want him to. Not because it is a bad way of learning, but because it is not the way that he learns. Since he was very young, my son has been a lover of numbers. At five, he can count well past 100, and is learning to add and subtract. His love of numbers has demonstrated to me the various levels that each individual can be in each “subject.” But I cannot attribute my son’s love of arithmetic with instruction of any kind, and I’m quite sure that any instruction would stall his interest and make numbers a dull subject indeed. I’m not saying that this is the case with every unschooled child. One of the biggest fears in unschooling is, how will they learn higher level math? But I ask you, to please examine the out-of-context way that math is taught in school. We do quite well in the earlier grades, but as our children get older, math tends to become something that is only done in textbooks. I am speaking with experience, as an A+ advanced algebra student. Instead of taking real-life equation problems that we are facing individually, and applying a formula to solve it, we are taught equations first, and then given fictitious problems to solve on paper. So, even though we can learn to solve these problems on paper, very rarely do our minds carry this information over practically in adult life. And let me ask you, how many adults finished high school and still cannot count back change? My hand is raised. And how many hours did we spend over countless problems and equations, just to learn how to figure the cost per ounce on a grocery store item? Many of us could have learned it quite easily and efficiently when the actual need was present, as an adult. The fact is, math is a skill that is needed for life, at some level or another. If I was taught anything about math in school, it’s that it was a chore. But, it doesn’t have to be a chore, and unschooled children around the country are proving that math can be learned naturally, whether a child finds it only a necessary tool for life, or something easy and fun. Some kids struggle with the basics, and some don’t. That is true in school and out of school. Don’t assume that because your child is “behind” that school would help them. More often than not, your child is not ready. Children do not progress at the same rate based on age. Have patience that your child will learn what they need to learn when it makes sense in their life.